(LWI) - 25 October was a special day for Archbishop Dietrich Brauer of the Evangelical Lutheran Church in Russia (ELKR). He received the symbolic key of Moscow’s Cathedral of St Peter and Paul, which had been expropriated by the Stalinist regime in 1938. 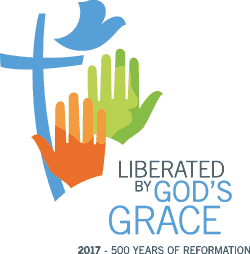 “Today is a special day in the history of the Evangelical Lutheran Church in Russia,” Brauer announced with satisfaction. “We have got our cathedral back from the state. With the restoration, historical justice has been done and the members of the congregation finally feel at home in their church again. That is a new feeling. And we have received a great gift from God.” The archbishop expressed gratitude to the government authorities for making the restitution possible. The church building was handed back on the occasion of the 500th commemoration of the Reformation during a ceremony attended by the President of Germany Frank-Walter Steinmeier. A long-cherished wish had been fulfilled, the president remarked on his visit to Moscow. The roots of the church go back to 1694/95 when, besides St Michael’s Church (destroyed in 1928), a second church was built for German Lutherans. It was first called the “New Church,” but was officially named St Peter and Paul. This building burned down three times (1711, 1737 and 1748), but was always rebuilt, until its final destruction in the Moscow fire of 1812. In 1817 the parish converted a building in Starosadsky Lane into a church, which was consecrated in 1819. Owing to the rapidly growing congregation, this building was reconstructed in 1860/61 and then replaced by the present church, 1903–1905. In 1938 the Stalinist regime seized the church, and Rev. Alexander Streck, the pastor of St Peter and Paul, was shot, along with the church council. The building first served as a concert hall and later as a movie theater. After it was converted into a film studio, a ceiling was inserted in the nave and the tip of the tower was removed in 1957. As of mid-1991 the congregation gradually regained access to the building and was initially allowed to set up a chapel. In 2004 the interior was restored. After 70 years, the church was returned to its real purpose on the first Sunday of Advent 2008. And now on 25 October it has been returned to the parish altogether. The ELKR is an LWF member church through the Federation of Evangelical Lutheran Churches in Russia and Other States.